Smart home technology exists to simplify countless aspects of daily life, transforming living through intelligent and seamlessly integrated technology, from audio visual entertainment to energy management and security. Typically, a smart home is defined as a home in which multiple devices are interconnected to allow for remote management of different elements of a home like heating and lighting. However, smart home capabilities extend far beyond this, allowing users more convenient day-to-day living through one easily accessible point of control, often an app or master device. A room’s ambience can be attuned at the push of a button, while smart home security systems allow users to monitor their house remotely. Unlocking functions that enhance the core elements of a home through automation, smart homes provide users with all the tools necessary to control and improve daily processes. Here, we’re going to take you through just some of the key ways that you can harness smart home technology to simplify daily living. Smart homes draw together a number of elements of the home to allow users to tailor their environment to their needs easily and accessibly through a host of adaptable functionalities. 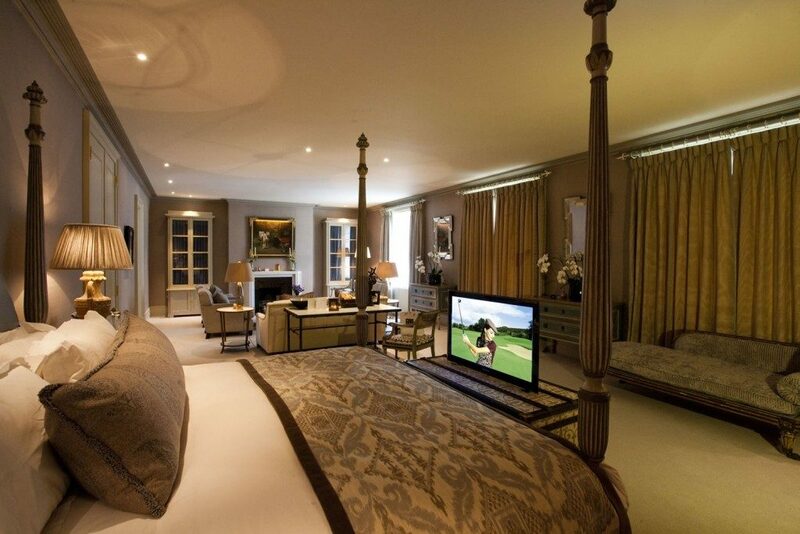 A central element of any house, lighting can be automated to suit a range of situations. Allowing homeowners control through smartphones and iPads, specific lighting scenes can also be pre-set to save users the trouble of fiddling with switches to find the perfect setting each time. Likewise, particular settings can be scheduled to come on at specific times and in sync with other smart features. For example, you could programme your blinds to rise and lights to turn on to wake you up in the mornings. Customisations are extensive and allow you greater control over your environment. Similarly, smart homes allow for simple temperature management even remotely, enabling users to ensure the house is warm in time for their return from work, or likewise off when the house is empty. Elements such as this are key to making a house feel more personal and homely, with solutions such as this adapting around personal needs to simplify daily processes. 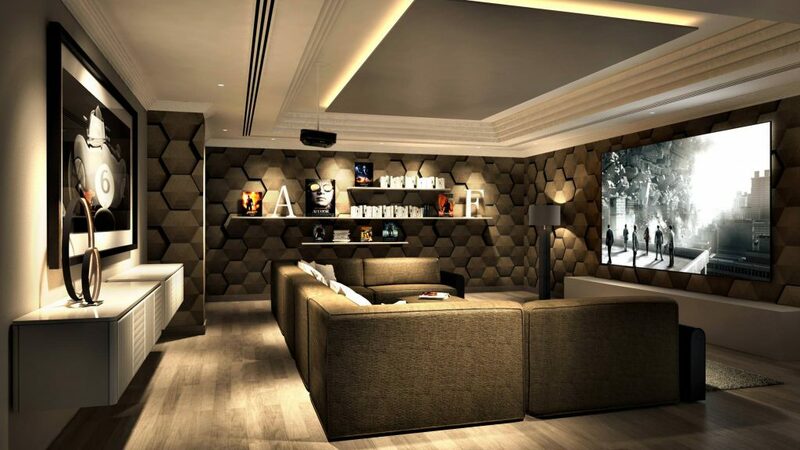 Home cinemas provide an immersive experience all from the comfort of your home, whether it be in a purpose built room, converted basement or multipurpose media room. Whatever the scale of your home cinema, home automation brings a home cinema to the next level through tailored programmed controls. This encompasses a host of functionalities like preparing the entire system at the push of a button down to details like film selection, sound level and lighting. For example, you might preset your smart home to dim the lights as a movie of your choice starts to play. 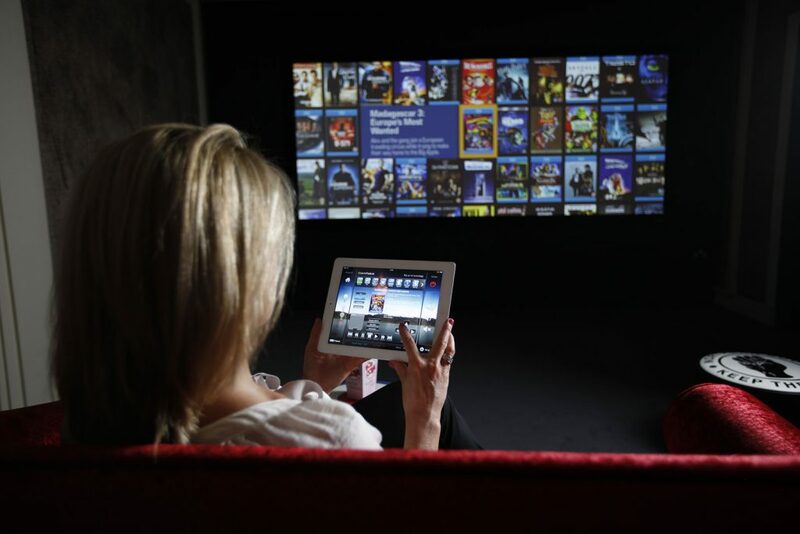 Home automation is also particularly useful for those using a number of media services like Sky/Virgin boxes, Apple TV and even DVD and Blu-ray players. Each new device requires its own remote which can quickly become a nuisance. Smart homes resolve this issue through creating universal remotes that unite all of these functionalities to allow a user full control from one single point. Equally, if you’d prefer to manage your home through a custom built app to navigate through controls, this is also possible. Smart home tech is all about simplifying a user’s daily life, and functions such as this do exactly that. One of the most practical functions of a smart home relate to their home security capabilities. Providing the perfect means of checking in on your property when out or abroad, often smart homes feature devices like CCTV or IP cameras, video doorbells and smart locks. One of the most common smart home security features are 24 hour security cameras, with these typically placed in high risk areas like the doorbell, back doors and basement. This allows homeowners to keep an eye on their houses when away, allowing them peace of mind that their home is secure. With IP cameras able to connect to home networks, users can easily monitor their homes through apps, while more advanced systems even have features like facial recognition and motion sensors that send notifications to your phone when unusual movement is detected. A smart home security system is a valuable investment, being useful not only for preventing burglars, but moreover for things like checking up on children or pets when out. Beyond simplifying daily processes, homes integrated with smart appliances can also help users be more energy efficient, reducing their environmental impact while moreover allowing them to save money on energy consumption. Given the huge number of gadgets we use nowadays, it can be difficult to know how to cut down on this usage, however smart thermostats are more effective than ever in helping to ensure that energy is not wasted. Programmed functions remove any need to manually adjust the thermostat, while occupancy sensors mean lighting can be dimmed or heating can be automatically turned off when a room is vacated. Working intelligently in union, devices such as this allow homeowners to effortlessly save on their energy consumption. Heating and lighting management is also typically accessible through apps, allowing users to schedule changes or update remotely. For example, you might use your app to set your heating to come on just before you get home from work, preventing a need for you to do this manually and wait for the house to warm up on your return. Equally, your thermostat can be pre-programmed to turn down the heating when you’re sleeping and warm up before you wake up. Smart tech such as this allows you to be environmentally conscious without even thinking! Smart home tech even extends to the kitchen, with smart fridges, ovens and stoves being just some of the devices available to be integrated into the home. Through home automation systems like Crestron, smart ovens or stoves can prompt homeowners through an app when the oven has reached its desired temperature, when food has finished cooking or when a timer has finished. Likewise, smart fridge settings can be adjusted remotely or programmed to shift temperature depending on needs, like if you wanted ice to be ready on your arrival. However, beyond smart home devices facilitating things like heating the oven, other kitchen tech such as high-end coffee makers allow users to select their drink of choice all from the convenience of an app. All smart kitchen devices can be made accessible from a single point of your choice, proving a useful tool for streamlining mundane processes like food prep. This technology is sleekly integrated into the kitchen meaning that there’s no need to compromise on style for quality. Each of these elements reflect one key thing – convenience. Smart homes provide convenient and adaptable solutions that transform your living space to simplify daily life. Seamlessly integrated systems and devices connect with one another through your home to enhance everything from entertainment to energy efficiency. Whatever your particular needs, smart homes offer life enhancing automation that simplifies processes to allow you a smoother daily experience. Get in touch with us today to see how we can help you transform your living space with smart home technology.